Got the above from their website & it's amazing, isn't it? I like this product, it is an affordable & great basic exfoliator. 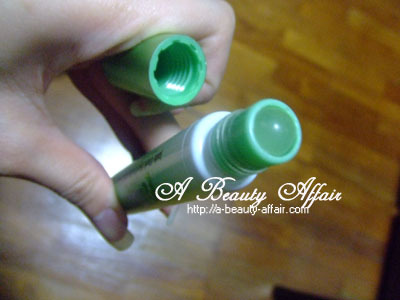 There is a faint scent of green tea when I apply it on my face. As you massage it on your skin, tiny bits of the product mixed with the dirt/dead skin/blackheads are rolled off. Definitely a plus point for being gentle on the skin as it effectively removes dirt, dead skin & loosens blackheads. Best of all, it does not dry out your skin after usage. My skin feels soft & smooth upon rinsing. 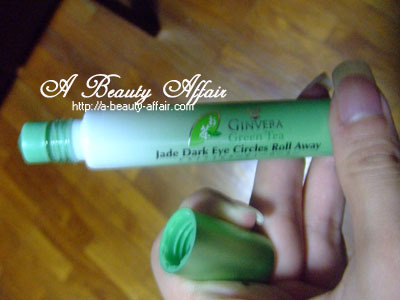 Jade Dark Eye Circles Roll Away helps to roll away dark eye circles and brightens eye contours effectively. Compared to other materials, Jade is a exceptional massaging medium as it contains trace minerals that benefit the human body. This is an interesting eye care product! Most of the ones in the current market are in the form of creams and lotions. But this comes in a nifty pen-like design which is handy and gives you a good grip. The tip of the roll on feels cooling on my eyes, however, it does not seem to lessen the dark eye rings I have. Maybe the time used is not enough and also the fact that I have not been sleeping early the past few days. I probably would need more time before I can give a more detailed review on this. Or maybe my dark eye rings can only be lessened with radio frequency treatments. 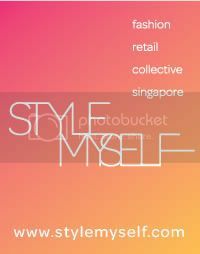 Meanwhile, do check out their FACEBOOK PAGE by CLICKING HERE! They are currently holding a Ginvera Redeem, Review & Win contest!